Typically, you don’t know what it feels like to work at a company until you actually start the job. A new website wants to fix that. 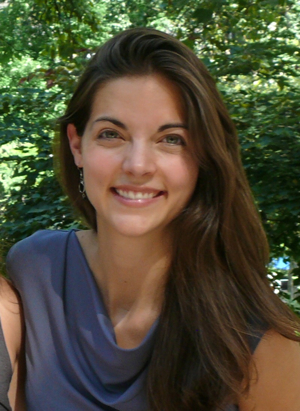 Kathryn Minshew is one of three founders of the Daily Muse, a career-oriented media site for women that launched in September of 2011. In between editing articles on entrepreneurship, asking for a raise, and finding work/life balance, Minshew and her cofounders developed an uncommonly useful job search product called Company Muse, which launched a few weeks ago. Fast Company spoke with Minshew to talk about Company Muse’s mission to actually give a glimpse of what it might be like to work for a given company, before you spend countless hours on an application process. FAST COMPANY: Daily Muse itself is pretty new. Why did you launch Company Muse just a few months after the site as a whole? KATHRYN MINSHEW: We knew when we started the Daily Muse, we wanted a recruiting-focused business model rather than an advertising-focused one. We felt like publishers were being forced to go to more and more extreme lengths to monetize through advertising. I had been a veteran of pretty challenging job searches, so I knew firsthand how frustrating, confusing, and demoralizing the job search process can be. Even after you get a job, many people join companies and discover in the first couple weeks that they aren’t a good match with the personality and values of the company. In October we did a partnership with Uber, where the CEO wrote some great text on the company and its culture. It worked well, but we felt like there was still something missing. We feel like the multimedia, the videos, the employee interviews on Company Muse give people that next level of understanding. At this point readers might want to explore one of the pages on your site. On the profile of the travel company Hipmunk, for instance, there’s photos of the office, videos of the employees, and so on. It’s very nicely designed. Who creates all this content? We create all the content. 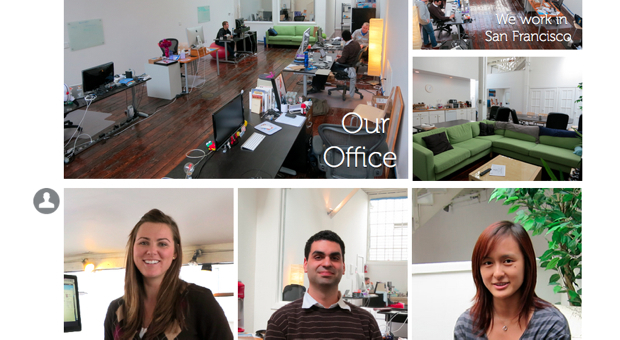 We send two people into the office, and they create the entire profile. Eventually we’d like to have a self-service option, but what we’ve found is that companies are so steeped in their own culture and idiosyncrasies that they’re not as good as a third party at pulling out the essence of their company. Do you work together with the companies, though? Is this PR or journalism? We usually end up working with both someone in their recruiting department and their HR department. We consider this to be a recruiting tool that supplements what they do in-house for recruiting. It’s important that the profiles be accurate; the goal isn’t to make everyone want to work at every company. Most job ads out there, in an effort to make their company sound the best, all sound the same: Every company is “innovative” and “results-driven,” and is looking for a “ninja.” There’s not a lot of differentiation. Tumblr and Mashable are both focused on media, but for any specific person, there’s a very good chance they would be much more drawn to one than the other. Making that match helps both the person and the company. Could the profiles you make also live on the recruiting page of a given company’s site? We’re working on that right now. We’ve been asked for it from the day we launched. We get asked all the time, “Hey, can you make one of these, and we’ll embed it?” That’s definitely something we’re really excited about. Would you ever consider licensing your profiles to a jobs site with larger reach, like Monster.com? We’d have to consider that when it came to it. We’re open to looking at all sorts of partnerships. Overall, how has Company Muse’s launch been? Since we launched a couple of weeks ago, we’ve gotten interest from some of the biggest companies in the U.S. We’re now talking about expanding to cities in the Midwest. The Daily Muse is a site for women. Are fellas allowed on Company Muse? Absolutely. We designed Company Muse based on the needs of our Daily Muse users, but we’ve also been very excited to have enthusiastic reactions from lots of dudes.